History & folklore: The name Dandelion is a corruption of the Latin dens leonis translated as "lion's teeth." The leaves of the plant were recommended as early as the 11th century in the works of an Arab physician and in written documents by the physicians of Myddfai in Wales in the 13th century. A popular folklore belief stated that if you made a wish and blew dandelion seeds into the wind, your wish would come true. 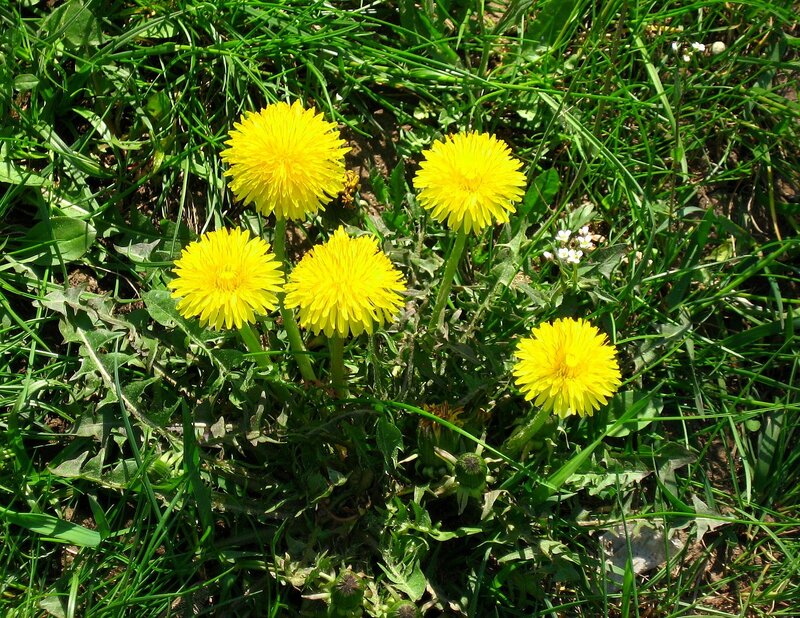 Medicinal uses: Widely regarded as a troublesome weed, the abundant dandelion has an astonishing range of health benefits! Research published in the journal Planta Medica in 1974 confirmed that the leaves of the dandelion plant act as a powerful diuretic. And unlike many other diuretics which leach potassium from the body, dandelion actually increases the potassium levels of those who use it. This plant is packed with vitamins and minerals, notably vitamins A, B, C, D, Iron, potassium and calcium. The root is an extremely effective detoxifying herb, assisting both the liver and kidneys, as well as the gallbladder. The leaves are used as a potent blood builder and general strengthening tonic due to their high vitamin and mineral content. Dandelion can have major therapeutic benefits for those suffering from issues like acne, anemia, eczema, constipation, gallstones, gout, osteoarthritis, and psoriasis, as well as numerous other conditions. Both the leaves and root can be juiced or dried and made into capsules, teas or tinctures. Magical/Energetic uses: Drinking tea made from the root of dandelion can help clear and enhance the third eye, bringing about psychic impressions and dreams. The plant is a symbol of abundance, making it auspicious for use in amulets and rituals intended to create financial opportunities and prosperity. Energetically it also represents strength and longevity making it ideal for both internal and external use when intending to enhance health and wellbeing.